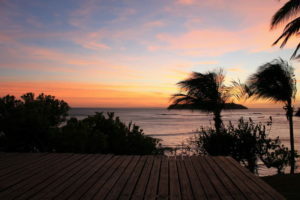 Santa Catalina has gained the reputation as being one of Panama’s top surfing destinations as well a gateway to Coiba National Park for divers & snorkelers. 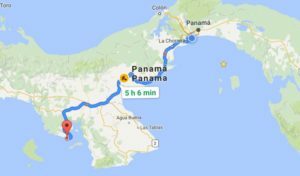 Santa Catalina is located on Panama’s Southernmost tip of Veraguas between the Gulf of Montijo and the Gulf or Chiriquí and takes around 5-8 hours to get to depending on how you arrive and traffic (details on how to get there at the end). Playa Santa Catalina is more of a beach for boats coming in and out than a beach for swimming in. For surfing, swimming, and sunbathing everyone heads to Playa Estero – just a 15 minute walk through the town. As you walk through Santa Catalina you will notice that life here is laid back and simple. 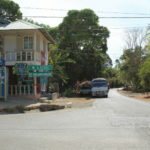 There’s no big developments and it has a charming rural village feel with just a few small hotels & hostels, surf camps, and restaurants dotted along the main road. Yoga: Head up to the “Bird’s Eye View” Studio at La Buena Vida Hotel for the ultimate yoga retreat! Classes take place every morning at 9am as well as a second session on Wednesday’s, Friday’s, & Sunday’s at 5pm. Surf, Swim, and Sun: Visit Playa Estero for the most popular surfing and swimming beach or La Punta at high tide for advanced surfers. Beach options: The Point Break (La Punta) – the most famous surf spot here in Santa Catalina, but there are a few more options, including a beach break which is great for beginners; Town Beach – Gets good when the point is SCARY HUGE; La Punta – 10-15 minutes walking, a few minutes in car; Punta Roca – 30 minute walk down a foot path from the town beach. This left needs a decent swell to be surfable, but tends to tube when it gets going; Estero Beach – 15-20 minute walk, a few minutes in car. No rocks, all sand, a great place to learn or practice before you go to the point; Punta Brava – Continue to the end of Estero Beach and around the point, parking and walking the rest at low tide which is when this wave is at its best. Surfboards are available for purchase or rental at various shops/hotels/restaurants upon arrival. Hiking: During one of your evenings hike up the Crest Trail for an amazing view of Santa Catalina during the sunset. Get a massage: Book a 1/2 hour, 1 hour, or 1 1/2 hour massage with Michelle at the Birds Eye Studio in La Buena Vida Hotel. 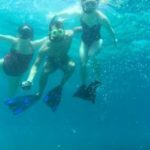 Coiba National Park: Santa Catalina is the nearest access point to Coiba National Park and it is a MUST DO during your trip here. Definitely one of the most beautiful places I have visited in Panama and we got to swim with schools of fish, sea turtles, and even spotted a few sharks! There are tons of tour operators in the area so you can book your trip once you arrive or reserve a spot in advance. Kayak / SUP (Paddle Boarding): Santa Catalina Beach is a great launch pad for renting a kayak or paddle board for the day and exploring the nearby Santa Catalina Island. 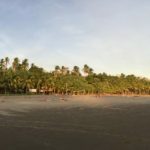 Where to eat: With twenty something hotels and just as many restaurants, there is something for everyone in Santa Catalina! 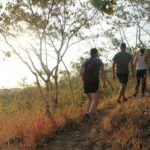 As the sun begins to disappear, head to the nearby hostel to sit and watch the sunset. The colors continue to change and morph at least 45 minutes after it starts. The clear, cloudless night provides a stunning backdrop splatted with the universe’s brightest stars that you only get to see in the most remote areas of the world. So what is there to do at night in Santa Catalina? Not much and that’s the beauty of it. Enjoy a nice dinner, have a few beers with friends, talk to other travelers… Santa Catalina is a destination to disconnect with our busy lives and enjoy peace & quiet. To order a map of Panama, click Here!